This book is a great book.If you are in to books with a mystery then this is a book for you. There are two main characters Amanda and Leo. They share a birthday and then their birthday keeps on repeating. It is up to Amanda and Leo to make sure there birthday stops repeating. When trying to make friends 12 year old Tara Brennan is convinced into breaking into her school to steal a goat while armed with pepper spray. As punishment her parents decide to send her to the sleepy little town of Willow Falls to set her straight. When she arrives there she tells lie after lie, day after day. To make sure no one knows the real reason she’s there she must find 13 mysterious gifts before her quickly approaching 13 birthday. While finding the objects she meets a lot of strange and not so strange people like David who sings at the bottom of an empty pool, a girl who may be dating a teen movie star, or two friend who talk to each other using blackboards, and her 11 year old cousin who last time she saw her ate an entire stick of glue. But that willow falls for you, anything is possible and nothing is as it seems. I really liked this book because it was really mysterious. I would recommend this book for people who like a good mystery. I would also recommend it for people who like a book with lots of twists and turns. I thought this was a pretty good book about birthdays and friendship. I liked it. February is a month full of holidays — you’ve got Valentine’s Day, Presidents’ Day, and the Lunar New Year. But let’s not forget the all-important holiday that just happened a couple days ago: that’s right, people, Tuesday was Groundhog Day. Personally, I don’t have much faith in a groundhog’s weather predictions, but I do love the old movie Groundhog Day, starring Bill Murray. You’ve probably never seen it because you’re not as ancient as I am (the film came out in 1993), but the basic premise is that Bill Murray’s character is forced to live the same day (Groundhog Day, obvi) over and over again until he can figure out how to escape the loop. It’s a hilarious movie, but it’s rated PG. 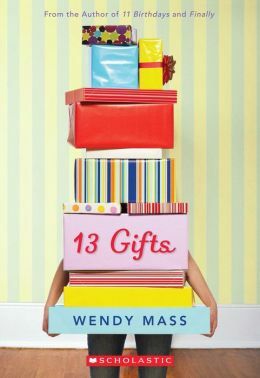 So if your parents guide you not to watch it, I’ve got the perfect book equivalent for you: 11 Birthdays by Wendy Mass! In the book, Amanda is forced to live the same day (her birthday, obvi) over and over again until she can figure out how to escape the loop. 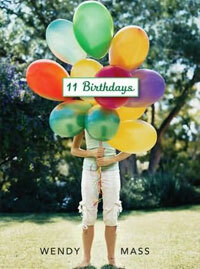 Or if you’ve already read 11 Birthdays, leave me a comment with your take!